Some companies shift their profits from the countries where they make those profits, to countries where they pay no or few taxes. This gives them an unfair and illegal (exactly!) advantage over their competitors who do pay taxes. Legal ways to evade/avoid taxes? Legal may be legal for some people or for some groups of people or in some countries, but totally inconsistent with what should be the “Global Peace Charter”. An army of experts help a limited few to make huge profits and to pay little or no taxes, while promoting social injustice and commercial exploitation. 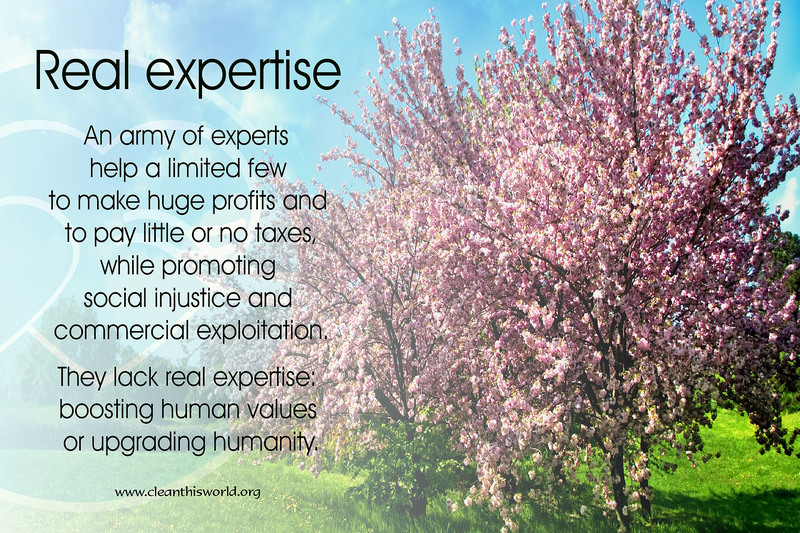 They lack real expertise: boosting human values or upgrading humanity. Politics are largely determined by egocentric lobbying groups. Result: many people suffer. 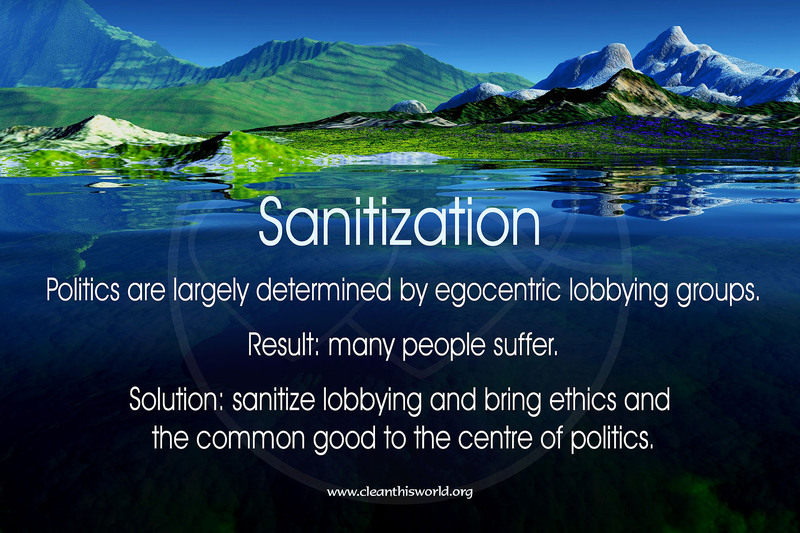 Solution: sanitize lobbying and bring ethics and the common good to the centre of politics. The most important customers in your life are your family and friends. They give you a lot without asking anything. They give you love and friendship. That is for free. It is the most important product around. Love is so precious. Yet true love cannot be bought. We would rather be humanity than money. We would rather be human than selfish. We would rather live in a house than in a castle. We would rather have friends than be rich and alone. We would rather be a dolphin than a vulture. We would rather be giving than stealing. We would rather be social than greedy. We would rather be sharing than taking.